For a seamless blend of performance and style, get the men's Skechers Go Walk 3 walking shoe. 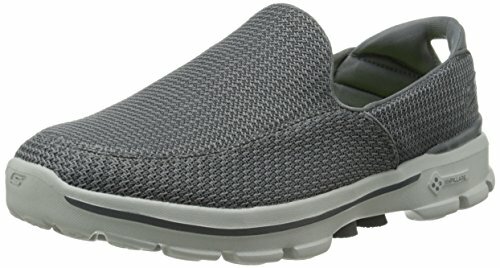 Made of mesh fabric, this walking shoe has slip-on construction for easy on/off. It has a fabric trim and cushioned footbed with GOga Mat® technology that pamper your foot all day long. Featuring ResalyteTM technology midsole, it ensures excellent impact absorption. This shoe also has Memory Foam padded heel cup to provide a comfortable fit. 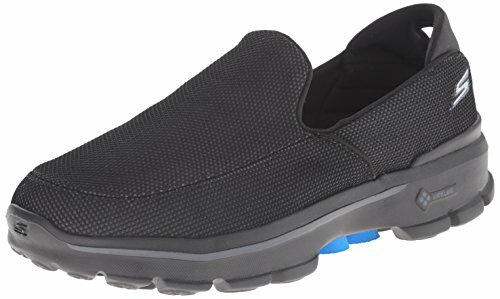 Topping it all is GOimpulse and GoPillars technology that give you remarkable flexibility and responsiveness to enhance your walking experience.Own this men's Skechers Go Walk 3 walking shoe foot for its utmost comfort and endurance.